I’m looking for some suggestions from people who have adopted independently. How did your child’s birth mom find you? Are there any websites you where you would recommend posting a profile? I’ve been a foster parent for several years, and I absolutely love being a mom. I’m still open to a foster to adopt situation, but I’ve had lots of kiddos go through my home. So far all of them have been able to go home to their bio parents, which is wonderful, but I’d love a chance to parent a child permanently. I work with a private foster care agency that is licensed to do adoptions as well, but they are a small agency in a small town, and they have pretty much no infant adoption situations. They’ve done an amazing job supporting me through my foster care experience, so I would really like to go through them for my adoption too, but that means that I will need to match with an expectant mom myself. Any suggestions or recommendations from other adoptive parents who have independently matched would be appreciated! We would be happy to answer your questions about independent adoption/self-matching. Generally, it’s much less expensive and less wait time. 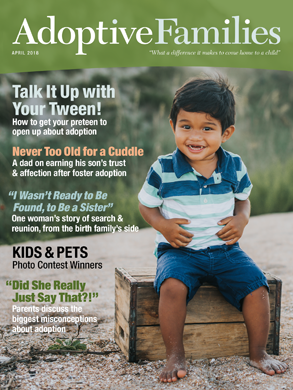 Were you able to find out about independent adoption or “self matching”? Adoption Hopes - I’d love to get information from you regarding independent adoption. Our DD was adopted at birth via independent adoption, but birth mom is a family friend so we never had to do any networking. Feel free to pm me and I can provide contact info for easier/direct contact.